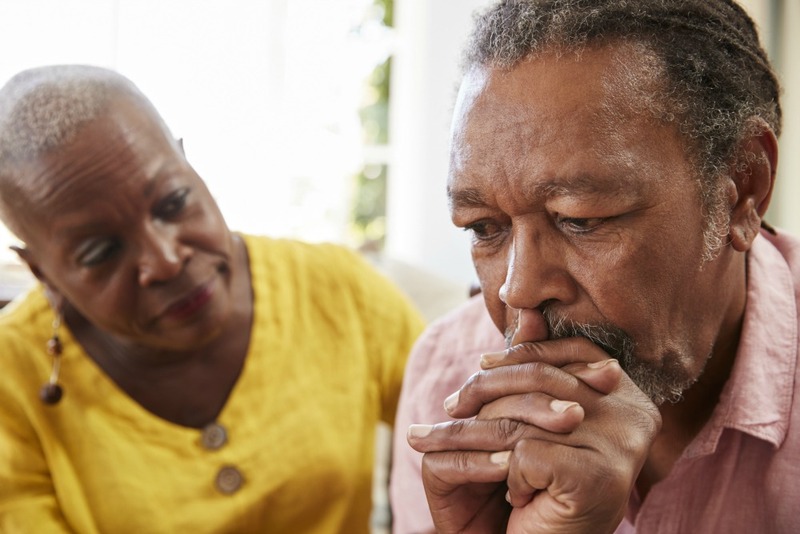 Providing care for an aging loved one can be challenging, and providing care for someone suffering from Alzheimer’s or another form of dementia can be especially difficult. Dementia is a generalized term for a mild to severe decline in mental cognition. Alzheimer’s disease is the most common type, and the two terms are often confused. Caring for a parent or family member with dementia presents its own unique challenges. It’s not without lighthearted moments, but it is often very taxing for the caregiver. That’s why we’d like to share a few tips to overcome the challenges and tell you how Senior LIFE can help you as a dementia caregiver. We partner with caregivers to provide customized care for their loved ones suffering from dementia. Caring for a loved one is demanding no matter what, and dementia caregiver stress is real. There are so many questions, medications, obstacles to get through, and psychological stressors that accompany caregiving for dementia. One of the biggest challenges caregivers report is the buildup of frustration, anger, and anxiety about their loved one. For example, attempting to help a person with dementia understand facts or reality can often lead to anguish and frustration. With dementia, there are often lapses in memory, reality, and facts. This can mean that those with dementia may believe that they are children or that their deceased spouses are still alive. It’s best to maintain a positive attitude, meet them where they are, and operate within their reality, as long as it’s safe. Ask questions that are simple and be as direct—while still being compassionate—as possible. Dementia sufferers are often prescribed a multitude of medications, and it can be hard for caregivers to keep track of them all. One way to alleviate the stress of handling multiple medications is to have help. Are you facing difficulties getting the medications your loved one needs under his or her managed care plan? An alternative under Community HealthChoices, Senior LIFE offers a comprehensive medication management system that fills all necessary medications, packages them into easy-to-understand packaging, and delivers them directly to the home. No more trips to the pharmacy—and no more copays to worry about! While caregiving for a loved one with dementia is challenging, you don’t have to face it alone. Senior LIFE is here to help you as a caregiver, in any capacity that your loved one requires. All Senior LIFE members receive customized care plans that are built with the individual in mind. That means that a team of medical providers will determine the best course of action for your loved one. And when your loved one’s needs change, the care plan will, too. Comprehensive care means just that. Every aspect of a member’s medical history goes into building the individual comprehensive care plan that’s designed to keep him or her healthy and independent. We provide care for our members—but we also provide support for their caregivers and other family members. Our services, which include in-home care and personal care, are designed to provide care for members and peace of mind for their loved ones. With so many challenging aspects to this type of caregiving, it can be difficult to go it alone. Luckily, you don’t have to. With the experienced team of medical professionals at Senior LIFE, your loved one will receive the best care possible. Caring for a loved one with dementia is a challenge. Finding the right health care for him or her shouldn’t be. Find the Senior LIFE location nearest to you.